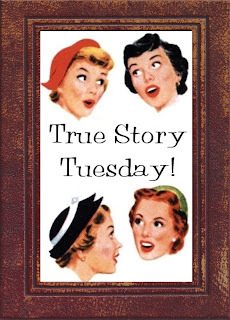 Can I just say True Story Tuesdays are another reason I’m glad to have made it through Mondays? 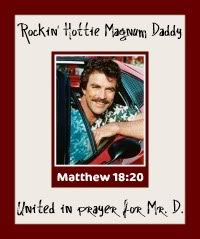 :) Y’all know what time it is… time to link up your crazy, hilarious, outrageous, miraculous, amazing and (mostly) true stories! It can be old or brand new – just grab the code from the sidebar and enter your post. We’ll be glad to send some linky love your way! I’ve worked in law enforcement for all of my adult life. And I ain’t gonna tell ya how many years that’s been, cuz you’d be rubbing my age in my face. Let’s just say that I’m pretty much your average law-abiding citizen and that it runs in the family. So I’m not typically a law-breaker. I was young and dumb and had found a new form of entertainment. With some other juvenile delinquent friends, I’d discovered the joys of laser pointers. Except that the three of us are hanging out trying to figure out just exactly how far this laser pointer can, ummm… point? By way of explanation, the two accomplices were both guys – both members of the male species who still found bodily functions absolutely hilarious. Just so you can get an overall taste of the atmosphere. See, you’d never think that someone would totally freak out about a random laser point appearing on their wall, right? Especially if it was drawing circles around your clock and spelling out stuff like “R-A-C-H” – oh I mean “H-I”. Absolutely clueless why someone would flip and feel the need to call the police. And let’s just say that the police in our joys-of-living-in-the-city area were (ahem) mighty quick to respond. But if that had happened, I mean, hypothetically and all, you can bet that it would have been purely coincidental that all of the lights in our house suddenly were turned off, the blinds were closed, and all occupants simultaneously found themselves behind large furniture. It was just a well timed “Quiet Game”, right? Until the front room lit up like the Fourth of July – red and blue lights flashing from a happenstance nearby police cruiser. Which kinda sorta happened to be parked directly in front of the house. Did we do something illegal? They’re knocking on the door! Flashlight beams poked through the living room, swinging around and outlining the furniture. It seemed like a good eleventy hundred seconds before the pounding subsided. By then our ears were ringing and we were blue in the face from holding our breath. We were too scared to move. We crouched behind the furniture for a good 5 minutes longer, then the non-male idiot ventured from behind the rocking chair to peek through the blinds at the cruiser slowly pulling away. And it was infinitely funnier when shortly afterward, my mother-in-law forgot the alarm combination (1-2-3-4… yep, she forgot it), and the police responded. To a completely dark and locked house where she crouched cowering behind the furniture. So what are your True Story Tuesday tales? Do share! We’d love to come by and add some comment love! Hahaha! I can totally picture that happening... to me! Now that is hilarious! I could so see myself doing that! great story! By the way I linked up the story you told me I should. but only cuz you asked nicely...lol. Whew. At least you didn't blind some pilot flying overhead and cause a crash. How did they even figure out that it was you guys? Someone must have spotted you, huh? Good story for Itty Bit (with names changed to protect the innocent, of course). "I knew someone who used a laser pointer at night just playing around, and the police knew it was them and kept an eye on them forever and ever more...."
hahahaha! I wonder what would have happened if y'all had gotten busted. Now if I was in my house just minding my own business when a red light started writing things on my wall, I don't know if I could bring myself to call the police. I might just keep that incident to myself in fear that my mind had finally cracked! Oh my goodness! That is hysterical!! OMW! FUNNY! I would have done the exact same thing! That is so funny! Crazy kids! I too wonder how the heck they knew it was you guys. And what would they have done? I don't believe writing your name on someone's wall 1 block away from your location with a laser pointer is illegal. Is it? I would have been more afraid to hide then to open the door. With my luck they would have called my mom and said that I was evading arrest. Law breaker goes on to a successful career in the PD! Crazy! LOVE the way you tell a story. That was great! I love how you implemented your technical cop lingo even when you were referring to yourself! Thanks for stopping by my blog!